Champagne was among the valuables stolen in a recent house burglary – and police are looking for witnesses. 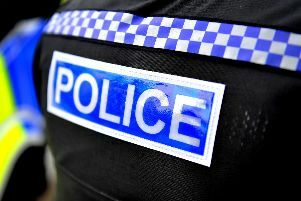 The burglary happened in Arundel Road, Littlehampton, between 10.30pm on Friday, May 12 and 5.30am the next day. As well as the expensive wine a large flat-screen TV was stolen, along with a Panasonic laptop computer and the keys to a silver Volvo estate car. The Volvo was driven away by the burglar but was found abandoned later that morning in Western Road, Littlehampton. Anyone who witnessed the incident or who may have other information about it is asked to email 101@sussex.pnn.police.uk, report details online at https://sussex.police.uk/contact-us/response-to-appeal/ or call 101, quoting serial 232 of 13/05. Alternatively, please contact the independent charity Crimestoppers anonymously on 0800 555 111 or by emailing crimestoppers-uk.org.